One of the biggest concerns for most sellers who are selling their collectibles online is when and if they're going to receive payment. With so much money being spent on online auctions and direct buying, it makes sense to be aware of different ways that your customer can get their money to you. Offering a number of alternatives to the stock standard payment methods means that you will be open to more customers, but also means you'll need to be on top of exactly what you're selling and what funds come in. There are a few new payment methods around that you can use as an add-on to some of the more traditional methods. 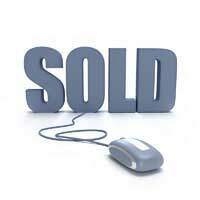 All of these methods are extremely effective and have their own benefits, especially for the seller. Most will handle all the work for you and you'll simply receive an alert email to tell you that someone has paid. Other than that, all you need to do is transfer the money out of the online account to your bank account and pay any fees. Although PayPal is definitely still one of the most trusted methods for online payments, there are a number of alternatives out there that you can use. Some of the latest payment systems are gathering momentum and becoming popular, often because they have lower fees than some of the more well-known companies. Also, many are set up specifically to help merchants obtain payments and are focused more on the seller than the buyer. There are many great aspects of each different type of payment software, however most have a number of things in common, whether they're old or new. Primarily, you need to focus on where you're planning to sell your goods, what kind of people are likely to buy them and the price range they'll be in. If you can choose a number of payment methods, do so. The more options for your customer, the better the chance of selling more of your collectible items. In a business that is extremely competitive, being able to sell to as many people as possible can be key to your success. If you decide to sign up with a dedicated merchant, ensure they take all kinds of payments – Visa, MasterCard, Maestro, Solo, Giro Pay, Ukash, American Express, Poli and more. Think globally and be aware of extra features such as billing, invoices, emails, payment options and more than may help you organise your payments more efficiently. Also be aware of fees, there's no point in using a company that have extremely high fees. Ideally you want as much of your profit returning to your own pocket, not to a payment company.